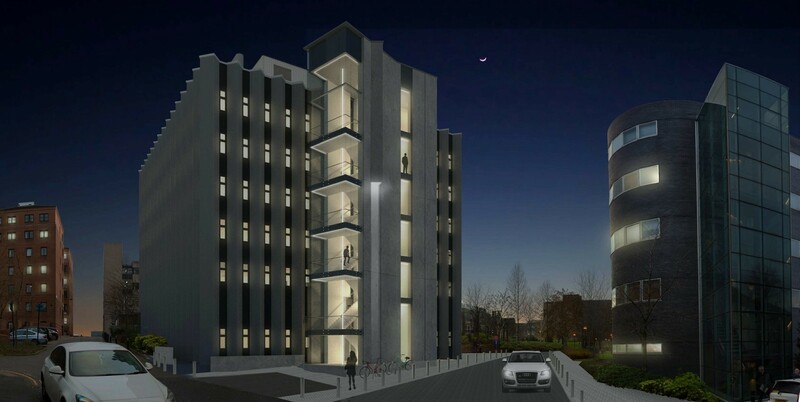 Kier Construction have been awarded a £9.7m tender to carry out the redevelopment of the B-listed Wolfson Building for the University of Strathclyde as part of a £15.5m project to transform the address into a centre of biomedical engineering. Work will now get underway to upgrade facilities and introduce new research and teaching laboratories ahead of its planned completion by early 2020. 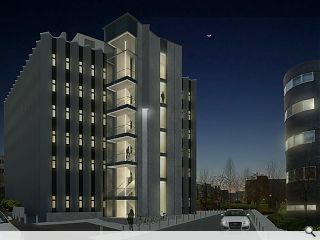 New interventions include the addition of a new exterior access core housing a new entrance, fire escape and elevator as well as a full refurbishment of the existing fabric of the Morris & Steedman designed facility. Conceived by McLean Architects the new extension will be finished in smooth pre-cast concrete panels with new areas of hard landscaping helping to integrate the school with a neighbouring sculpture garden. The extension is clumsy looking. Probably the best contractor to tackle these type of refurb projects. They really do have a red hot, smokin' track record. There's a really creepy guy lurking on the 4th floor leering at that poor female student. Shameful.